My ex husband has a severe problem with sleep walking. He beats himself up, urinates all over his apartment, eats, runs water, smokes...etc. We have a 12 year old son. He gets him every other weekend. My fear is that he will become violent to my son during an episode so I do not want my son to go. My ex has told me his sleep walking has gotten worse over the past few weeks. Last night he did a back flip and almost broke his leg. He lives alone. He has been seen by a sleep doc who said he has sleep apnea. He has a CPAP but he takes it off when he is asleep. I cannot let my son go, I'm terrified! What can we do? Meds haven't helped, just makes it worse. Xanax, Valium make it worse. What can we do to protect my son and himself?? Kevin: Thank you for sharing your story. In addition to the basic sleepwalking precautions--such as locking doors and windows, removing potential weapons from the house, etc--there is one bit of info that I feel may be helpful to you. That is looking into the sleep disorder REM Sleep Behavior Disorder, or RBD. 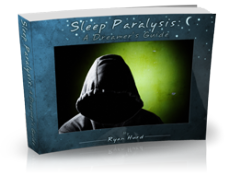 This disorder is similar to sleepwalking in that it involves unconscious activity during sleep, but it is often more violent as RBD involves actually acting out what the sleeper is experiencing in the dream world. It is also much less known about, so I figured I would mention it in case it is a good lead for you. If you can find out if your husband is experiencing RBD instead of sleepwalking, perhaps it will help you and him treat it more effectively. RBD is fundamentally different than sleepwalking in that it occurs during REM sleep, whereas sleepwalking occurs in deep non-REM sleep. The way to find out which disorder your ex-husband is experiencing would be to observe in which stage of sleep the episodes occur in. 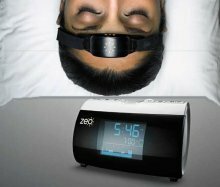 This could be done at a sleep center (and probably should if you feel that safety is an issue for him or your son), or it could also likely be done with an at-home sleep stage monitoring device like the myZeo headband. However, the fact that you mention that he eats and smokes and performs similar activities during these episodes makes me think that they are taking place during deep non-REM sleep, and are likely sleepwalking. While RBD episodes tend to be violent more often, sleepwalking episodes certainly can be injurious or violent as well. Besides this, I might also recommend discussing your safety concerns with your ex-husband, if you haven't already. Perhaps he will acknowledge the possibility you fear of injuring your son, and be proactive in preventing that.